In MY OWN WORDS, Ruth Bader Ginsburg discusses gender equality, the workings of the Supreme Court, being Jewish, law and lawyers in opera, and the value of looking beyond US shores when interpreting the US Constitution. 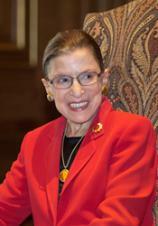 Throughout her life, Justice Ginsburg has been (and continues to be) a prolific writer and public speaker. This book’s sampling is selected by Justice Ginsburg and her authorized biographers, Mary Hartnett and Wendy W. Williams, who introduce each chapter and provide biographical context and quotes gleaned from hundreds of interviews they have conducted.